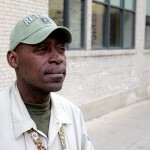 Larry Higgins, who lives near Harambee, discusses why he feels unsafe on the streets. If you’re not a person who rides bicycles throughout the winter, it’s time to get out your bike. 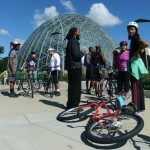 Here’s information about how to have a fun and safe experience while riding around Milwaukee. 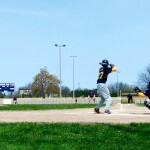 The longstanding baseball league started its season with an afternoon game at Carver Park. 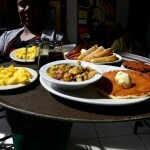 A recent national report named Milwaukee as a leading city in energy burdens faced by African-American households. Local energy assistance and weatherization programs seek to lessen this burden. The Show Dome at Mitchell Park re-opened several months after it was closed due to structural concerns. 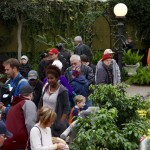 Visitors were welcomed back to the conservatory with one-day free admission. 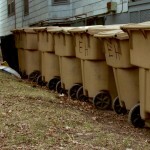 The City of Milwaukee offers a variety of free collection services and a program running now to remove larger, unwanted items. 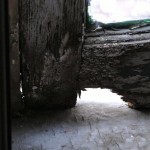 Learn how to use the program to clean up your home and neighborhood. With no city subsidies available for lead abatement on the South Side, Sixteenth Street Community Health Centers points residents to other options to keep children safe from lead poisoning. Diminished federal funding for lead-abatement efforts prompted the city to limit subsidies to six North Side ZIP codes, leaving owners of old homes in other neighborhoods scrambling for help. 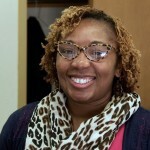 Sharmae Roberts, a math teacher at Carmen High School Northwest, reflects on what she learned about her students and their families during home visits.